Explanation: The Centaurus Cluster is a swarm of hundreds of galaxies a mere 170 million light-years away. Like other immense galaxy clusters, the Centaurus Cluster is filled with gas at temperatures of 10 million degrees or more, making the cluster a luminous source of cosmic x-rays. 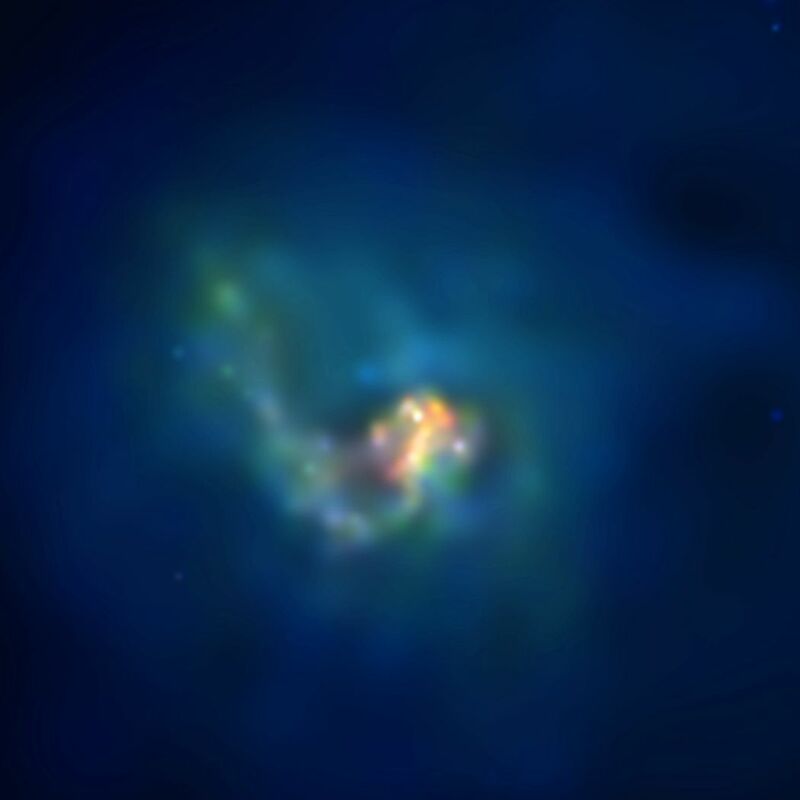 While individual galaxies are not seen here, this false-color x-ray image from the Chandra Observatory does reveal striking details of the central region's hot cluster gas, including a large twisted plume about 70,000 light-years long. Colors represent temperatures indicated by the x-ray data with red, yellow, green, and blue shades ranging in order from cool to hot. The plume of gas alone is estimated to contain material equivalent to about one billion times the mass of the Sun. 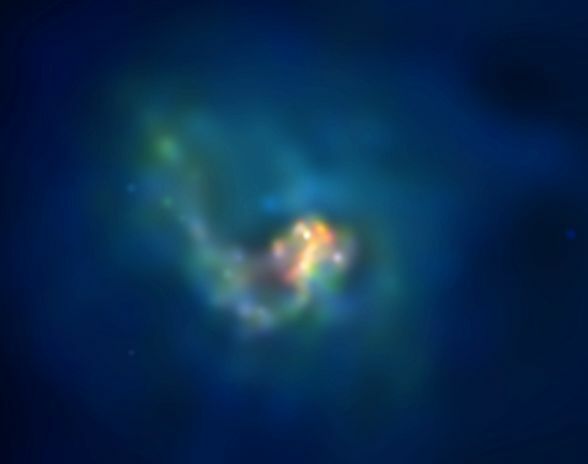 It may be a wake of gas condensing and cooling along the path of the massive, dominant central galaxy moving through the cluster.